Some people say that a dog is man’s best friend, but sometimes that best friend bites you so hard that you end up in the hospital. This is not an exaggerated scenario, nor is it an infrequent problem in Florida. Every day, approximately 1,000 Americans need emergency care due to dog bite injuries. With this now in mind, are you aware that you would most likely be legally responsible for your dog if it inflicted injuries on someone? Contact your Miami personal injury lawyers today! According to Florida law, the owner of a dog who bites someone is liable “for the damages suffered by the person bitten, regardless of the former viciousness of the dog or the owners’ knowledge of such viciousness.” Lets say that your dog has never so much as chased a squirrel in all its life until, one day, it attacks a neighbor; as the dog’s rightful owner, despite the fact that the dog has been obedient up until that point, you are responsible for all the damages. The excuse “but there was no way for me to know my dog would attack” doesn’t work in the State of Florida. 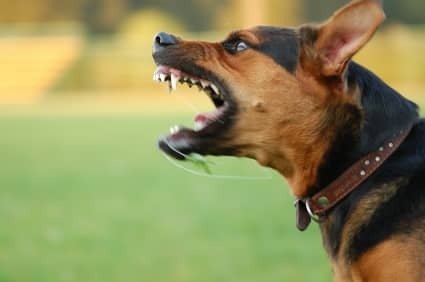 – If the victim of the dog bite is, at the time of the incident, not on public property or not lawfully on private property. So, if the occurrence takes place at a public playground or at a home where the victim was invited, the dog owner is responsible for the attack. But, maybe the victim is a thief, who has broken in (clearly without permission) and, while in the home, is attacked by the family dog; in this particular instance, the dog’s owner would not end up being liable for the damages. If there is a “Beware of Dog” sign warning people of the dog’s presence. If the victim, of the dog bite, acted negligently in a manner that encouraged the dog biting. If the victim had been cruelly taunting the dog or acting in some other negligent manner that was a proximate cause to the incident, such negligence reduces – but does not necessarily eliminate – the liability on the dog’s owner. Statistically, pit bulls are by far the most common breed to attack. They make up just 6% of the overall canine population in the U.S., but are still responsible for a frightening 62% of injury causing dog attacks. Even though many dogs are kind, gentle, and loving there are some who are dangerous and can cause great injury to thousands of people; many victims are killed in dog attacks and some can never completely recover from their injuries. In accepting the responsibility of owning a dog, you must understand that you will be liable for the harm it might cause (except for in the circumstances listed above). Contact Miami Personal Injury Lawyers – Shamis & Gentile, P.A. If you have been injured due to a dog attack in the State of Florida, please contact our experienced personal Miami personal injury attorneys. For a free consultation, please contact us at South Florida Injury Attorneys your Miami Personal Injury Lawyers– by calling 305-479-2299 or emailing us at info@sflinjuryattorneys.com .